Marissa and Josh met off of the mutual app. 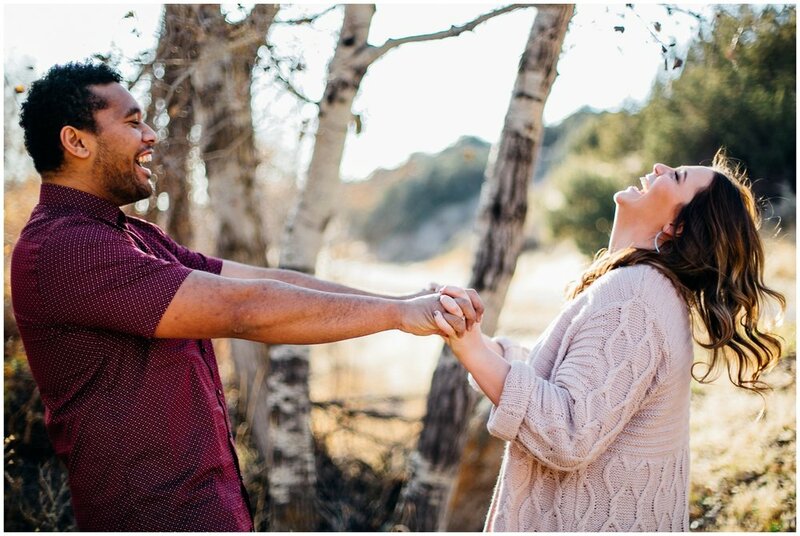 I can relate to clients who have met through social media or online dating because me and my husband actually met online! It was over 6 years ago before Tinder was invented so I it’s what I call a “sketchy tinder” back in the day. 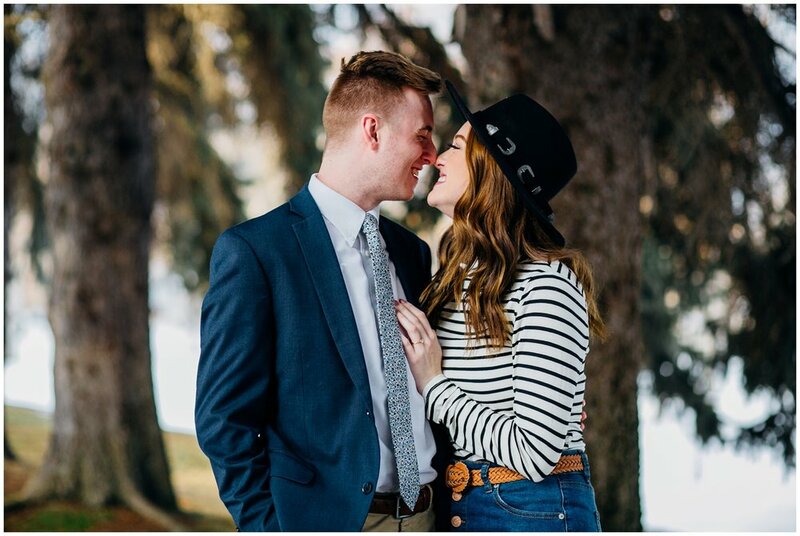 It worked out for us, so I love seeing it work out for my couples too! 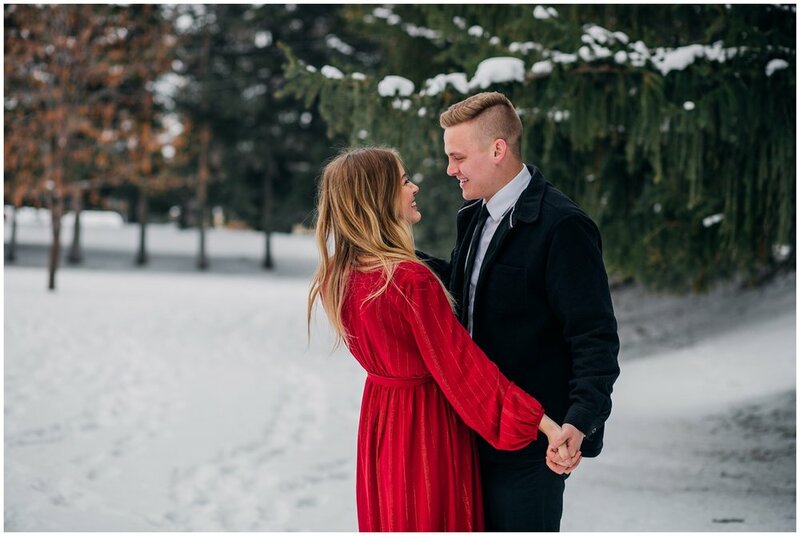 Marissa entered my Giveaway earlier this winter and was the winner! 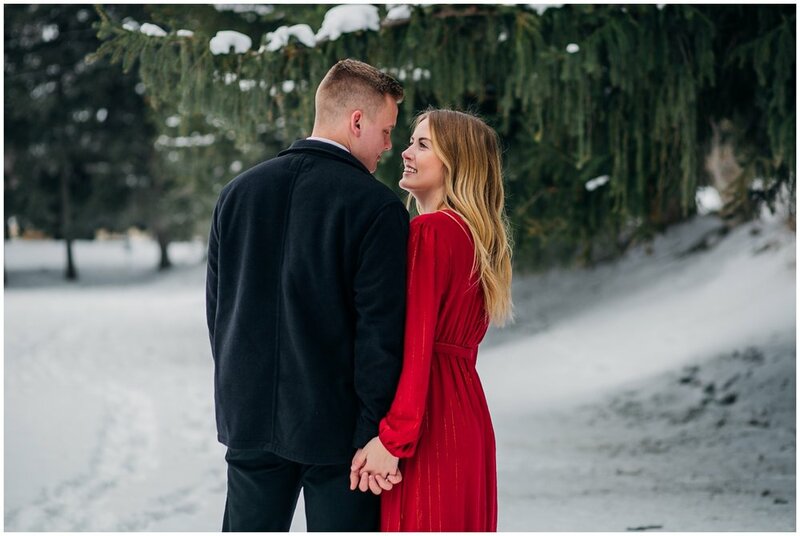 When Marissa won she asked if she could use her session after Josh proposed as engagements, since they weren’t engaged yet. 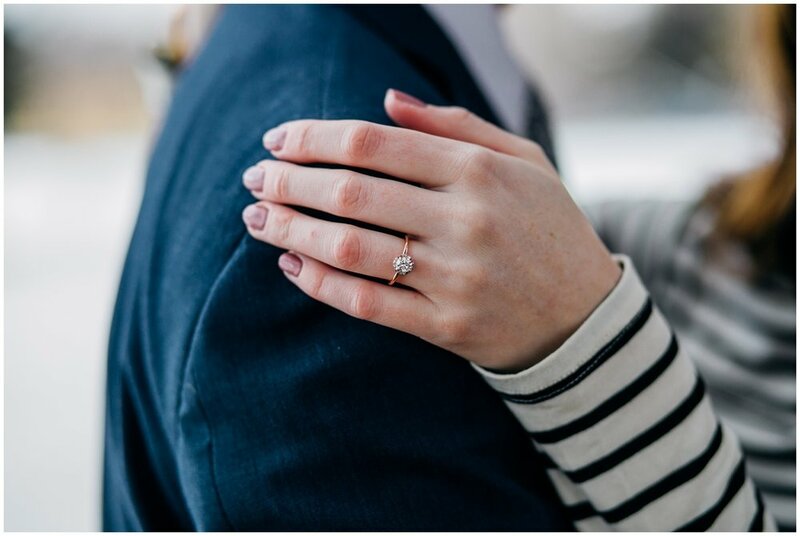 After Josh proposed, we quickly planned their shoot within a week! We headed to one of my favorite spots in Idaho Falls. I love this location because it gives off a forrest vibe, without us having to travel too far or worry about getting stuck in the mountains. 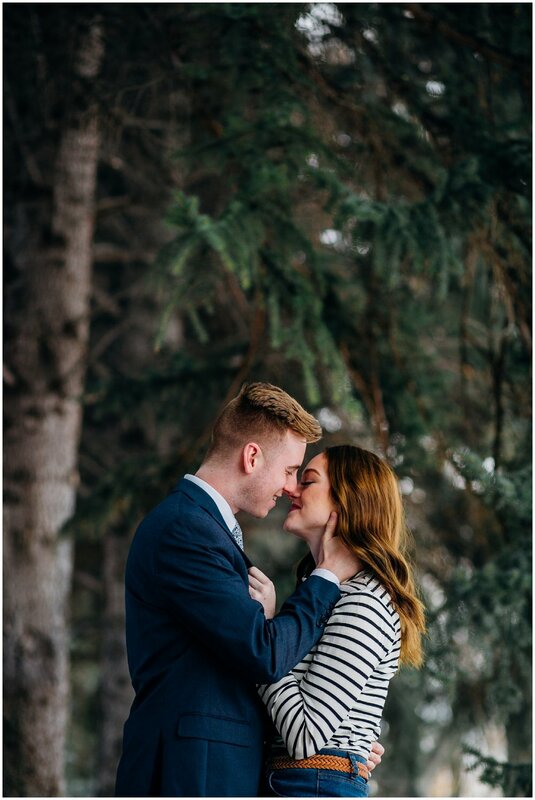 These ever green pines always make the perfect backdrop for my adventurous couples. I also pulled out a lens I rarely shoot with for this session and I forget how much I absolutely love it! 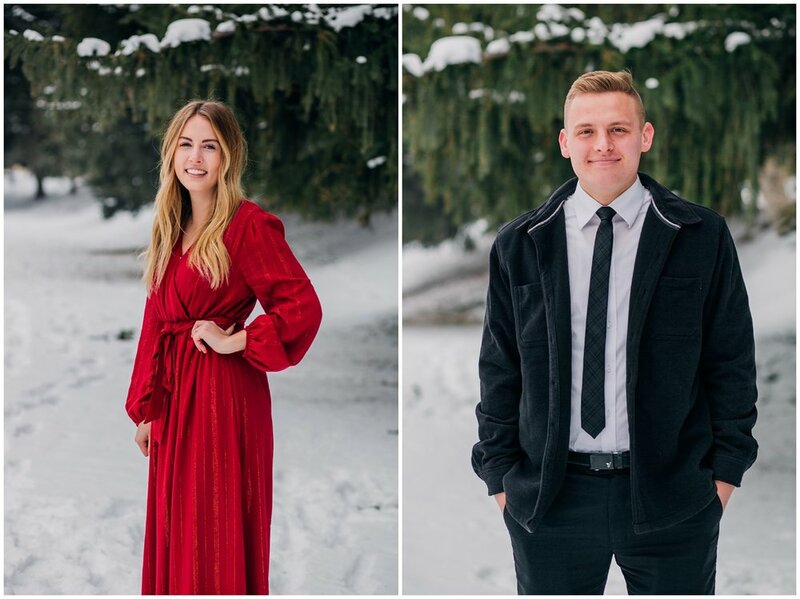 My favorite images from Marissa and Josh’s session are the one’s with Marissa leaning against the tree. I asked Josh to flirt with Marissa and did he pull through! We also had some of the best weather we’ve had in weeks here! It was a solid 38°F which felt like spring to all of us! 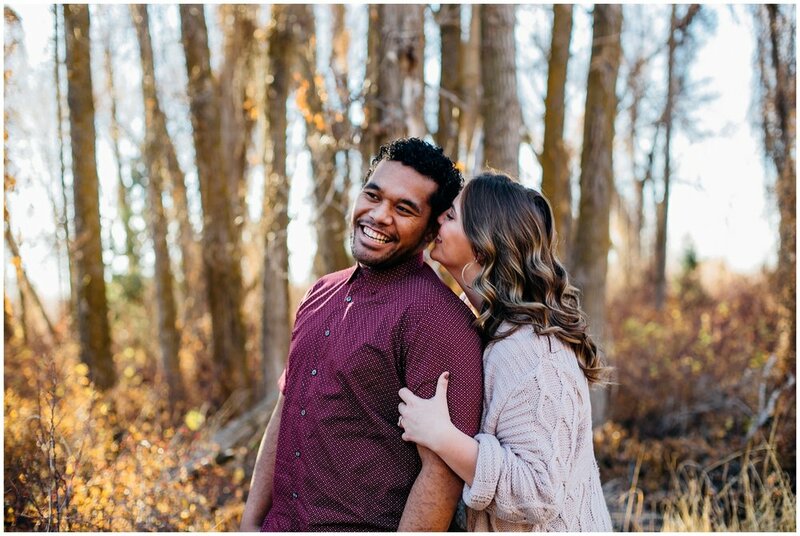 Lexi and Mas are the type of couple I could hang out with everyday! 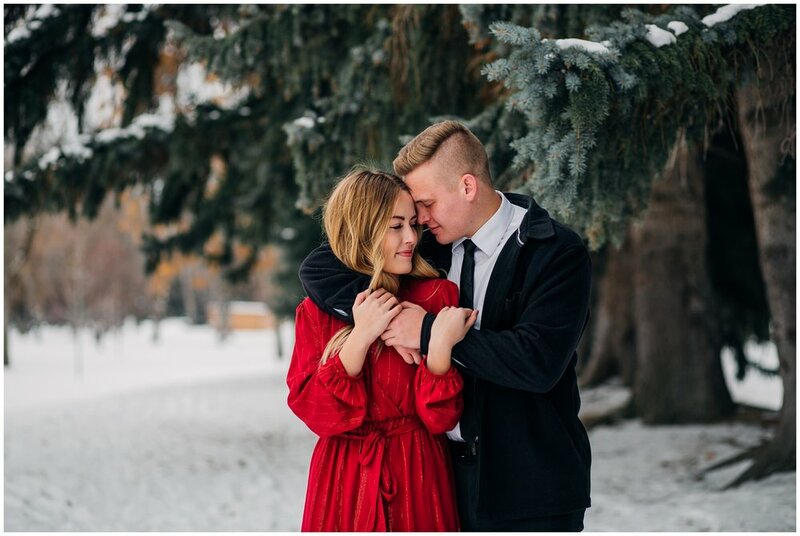 Lexi contacted me right after she and Mas got engaged to schedule her engagement session. She mentioned wanting the fall colors so I told her we should squeeze them in ASAP so we could have more of a fall vibe instead of a winter one with Idaho’s weather being so crazy. We met up at in the mountains in Ririe, Idaho, of course. 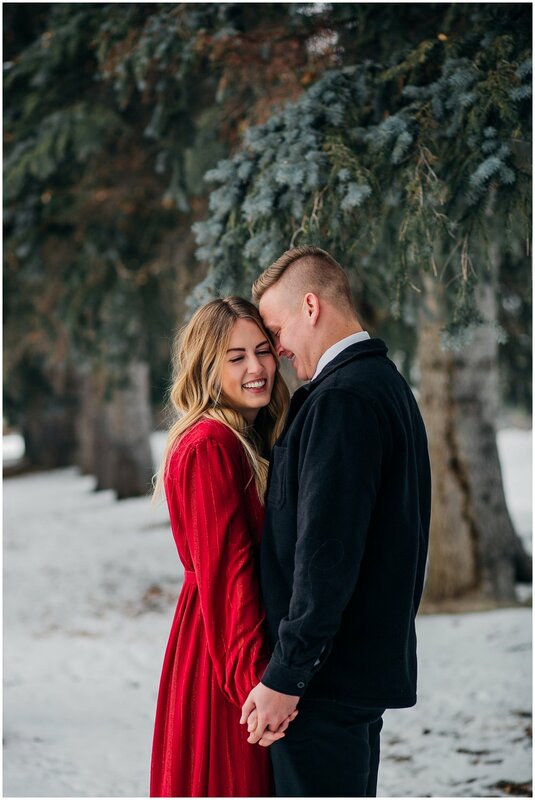 Immediately these two were so comfortable in front of the camera. It honestly felt like we were just hanging out as friends! With a couple cute photos in between. 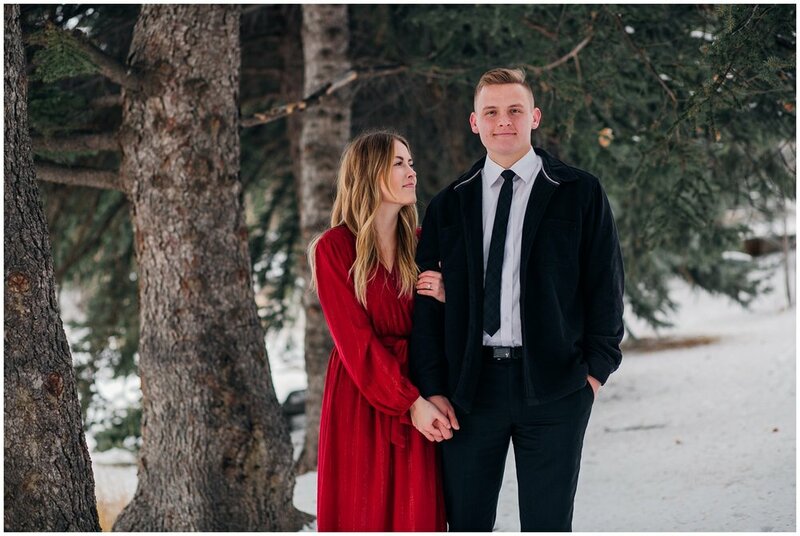 It’s always a blast being able to document couples who trust me and are willing to adventure and rome with me. We adventured in the mountains, wandering through the wilderness and I loved it all! 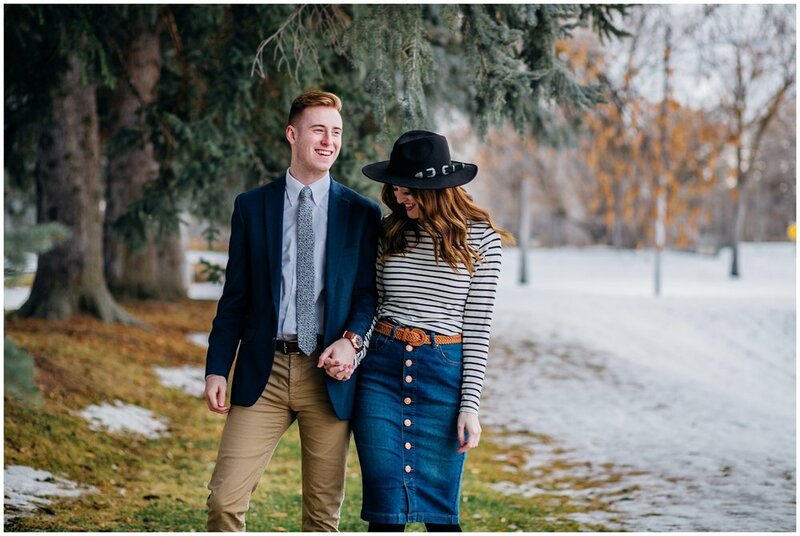 It makes the whole process so much more enjoyable when engagement sessions turn into basically a date with me as a third wheel. Did I mention how kind and loving these two are? To each and in general! 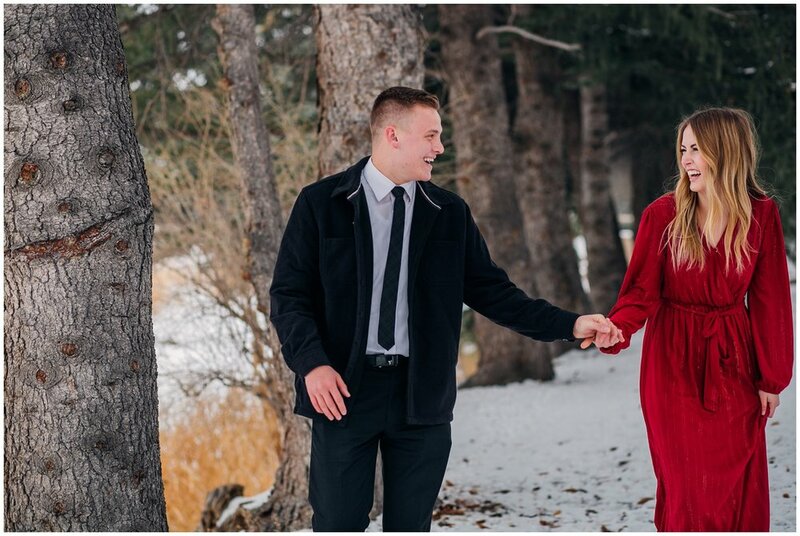 They gave me some of the sweetest feedback after posting their sneak peek. Here's what Lexi said. "She is AMAZING!! She knows exactly how to get the best angles, knows the best spots, and is such a dream to work with!! She made everything so fun and entertaining and really just let us be ourselves. 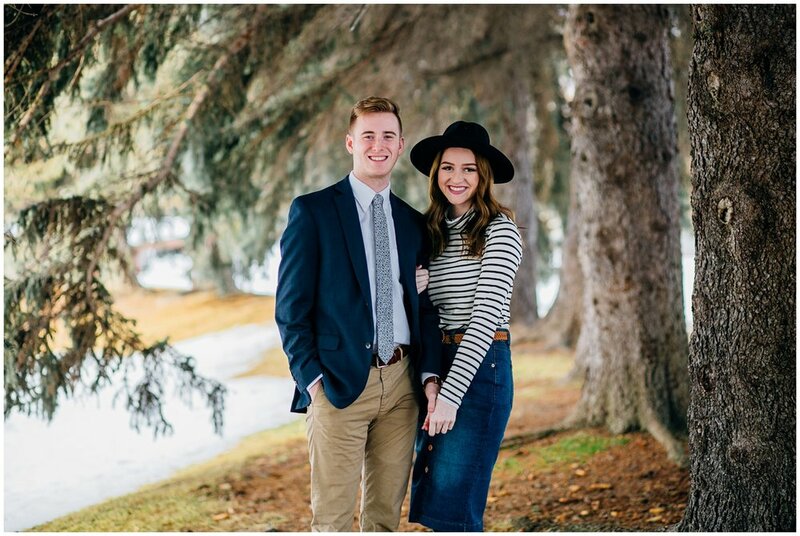 If you are looking for a photographer in the Idaho Falls/Pocatello/Rexburg/Teton area, this girl is the one." Her comment literally made me tear up. I love happy clients!